Bonapart recalled the case of a Belvedere woman (now deceased) who was " unnaturally attached to the two Redwoods –which she called her 'sentries'--on either side of her driveway, her 'protectors.' When it comes to a person's home or their trees, the 'my home is my castle' mentality can become part of a dispute, Bonapart said. 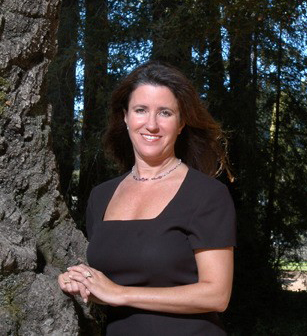 "My passion is being a peace maker," said the lawyer, who began her career doing complex commercial litigation for large corporations, and got into her "niche specialty" twenty years ago when a family friend's neighbor took down her trees without her permission. Reprinted with permission from The Ark Newspaper. © 2011.